Vegan veggie patties and superfood ingredients- can't get any better than that for a guilt free dinner. Garbanzo flour is rich in protein, which is very good for you. Along with hemp seeds, chia seeds, flaxseed meal (which are all considered superfoods) and fresh vegetables, you get an amazing result. I served it over sautéed greens and it was such a great meal, full of nutrients and flavors. 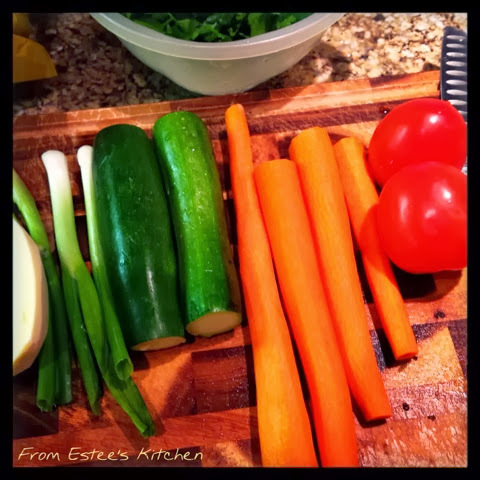 In a food processor using the grater tool, start grating the sweet potato, onions, zucchinis, carrots, and tomatoes. Pour into a bowl and add the rest of the ingredients. Mix well. Form evenly sized patties, and lay on the baking sheet. Bake for about 30 minutes, until golden brown. Serve warm over sautéed greens.